As a Harvard professor, Richard Alpert did psychedelic drug research with his fellow professor, Timothy Leary which led them both to being dismissed. This research set Alpert on a path of spiritual exploration which took him to India. There he met and began studying with his guru, Neem Karoli Baba. His guru gave him the name, "Ram Dass." He has gone on to become one of America's most beloved spiritual teachers and writers. Love Serve Remember Foundation - Ram Dass still continues to teach from this website that he setup to honour his guru, Neem Karoli Baba. Here you can read quotes, view beautiful pictures, read comments from his followers and get news about his events. Ram Dass speaking about his book, Compassion in Action. Amazon Synopsis: Ram Dass, one of America's most beloved spiritual teachers, sparked a revolution forty years ago with the publication of Be Here Now. This landmark classic inspired an entire generation to see the world in a different light. Over the past four decades Ram Dass has been a beacon for seekers worldwide, challenging us to find new sources of meaning and purpose in our lives. Be Love Now is the third book in a trilogy that began with Be Here Now and was followed by Still Here, Ram Dass's acclaimed work on aging, changing, and dying. In Be Love Now, Ram Dass shares what he has learned in his remarkable four-decade-long spiritual journey. Through timeless teaching stories, compelling and often humorous personal anecdotes, and soul-stirring insights, Ram Dass tracks the stages of his own awakening in his trademark down-to-earth style. 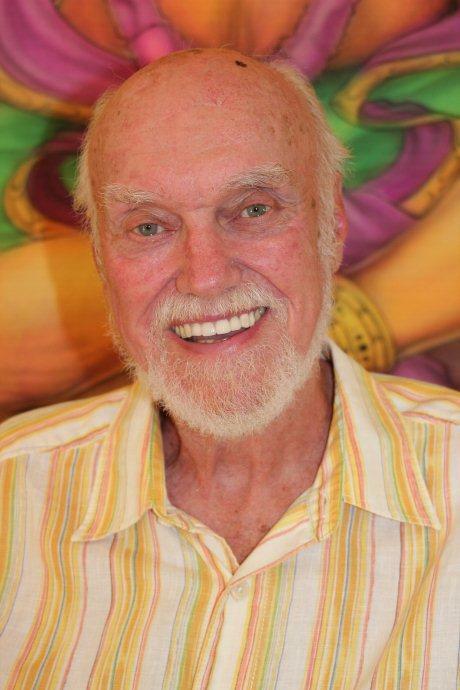 Starting with his days as Harvard psychologist and psychedelic inventurer, continuing through his profound encounters with his guru, Neem Karoli Baba, and moving beyond the reawakening brought on by his near-fatal stroke, Ram Dass shares his life experiences while offering a timeless teaching on love and the path of the heart. Guiding us through the pitfalls and perils of our own spiritual path, Be Love Now is both a deeply personal and wonderfully universal exploration that will open hearts and minds. Ram Dass once again blazes a new trail, inviting all to join him on this next stage of the journey. Amazon Synopsis: Featuring an eye-catching new cover, this classic guide is for those ready to commit time and energy to relieving suffering in the world. No two people are better qualified to help us along this path than Ram Dass, who has spent more than 25 years teaching and writing on the subject of living consciously, and Mirabi Bush, who succeeded him as chairperson of the Seva Foundation. The Mellow Drama, Dying: An Opportunity for Awakening, Freeing the Mind, Karmuppance, God & Beyond. Amazon Synopsis: Not a day goes by without our being called upon to help one another--at home, at work, on the street, on the phone. . . . We do what we can. Yet so much comes up to complicate this natural response: "Will I have what it takes?" "How much is enough?" "How can I deal with suffering?" "And what really helps, anyway?" In this practical helper's companion, the authors explore a path through these confusions, and provide support and inspiration fo us in our efforts as members of the helping professions, as volunteers, as community activists, or simply as friends and family trying to meet each other's needs. Here too are deeply moving personal accounts: A housewife brings zoo animals to lift the spirits of nursing home residents; a nun tends the wounded on the first night of the Nicaraguan revolution; a police officer talks a desperate father out of leaping from a roof with his child; a nurse allows an infant to spend its last moments of life in her arms rather than on a hospital machine. From many such stories and the authors' reflections, we can find strength, clarity, and wisdom for those times when we are called on to care for one another. How Can I Help? reminds us just how much we have to give and how doing so can lead to some of the most joyous moments of our lives. Amazon Synopsis: Ram Dass is an American psychologist and spiritual teacher who has studied and practiced meditation for many years. Here he shares his understanding and explores the many paths of meditation--from mantra, prayer, singing, visualizations, and "just sitting" to movement meditations such as tai chi--and suggests how you can find methods suitable for you. He illuminates the stages and benefits of meditative practice, and provides wise and often humorous advice on overcoming difficulties along the way. "There can be no biography of him. Facts are few, stories many. He seems to have been known by different names in many parts of India, appearing and disappearing through the years. His western devotees of recent years knew him as 'Neem Karoli Baba,' but mostly as 'Maharajii'--a nickname so commonplace in India that one can often hear a tea vendor addressed thus. Just as he said, he was 'Nobody.' He gave no discourses; the briefest, simplest stories were his teachings. Usually he sat or lay on a wooden bench wrapped in a plaid blanket while a few devotees sat around him. Book Jacket: Ram Dass has always been a master of the one-liner. Here is the nitty-gritty by the author of Be Here Now—more than 200 penetrating observations and pithy spiritual instructions on such topics as How It All Is, Love and Devotion, Suffering, Aging, Planes of Consciousness, Death and Dying, Service and Compassion, Psychedelics, Social Awareness, and Liberation. Amazon Synopsis: This book is based on talks by Ram Dass at the Menninger Foundation in 1970 and at the Spring Grove Hospital in Maryland in 1972. The text grew out of the interaction between Ram Dass and the spiritual seekers in attendance at these talks. The result of this unique exchange is a useful guide for understanding the nature of consciousness--useful both to other spiritual seekers and to formally trained psychologists. 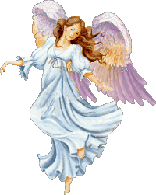 It is also a celebration of the Dance of Life--which, in the words of Ram Dass, is the "only dance there is." Amazon Synopsis: World-renowned philosopher and spiritual teacher Ram Dass—author of the groundbreaking classic Be Here Now—presents the contemporary Western audience with a lively, accessible guide to the teachings of the Bhagavad Gita, the classic Hindu text that has been called the ultimate instruction manual for living a spiritual life. Amazon Synopsis: Stories about spiritual aspirants and the transformation of their lives through meeting Ram Dass. Amazon Synopsis: Describes one man's transformation upon his acceptance of the principles of Yoga and gives a modern restatement of the importance of the spiritual side of man's nature. Illustrated. Amazon Synopsis: More than thirty years ago, an entire generation sought a new way of life, looking for fulfillment and meaning in a way no one had before. Leaving his teaching job at Harvard, Ram Dass embodied the role of spiritual seeker, showing others how to find peace within themselves in one of the greatest spiritual classics of the twentieth century, the two-million-copy bestseller Be Here Now. As many of that generation enter the autumn of their years, the big questions of peace and of purpose have returned demanding answers. And once again, Ram Dass blazes a new trail, inviting all to join him on the next stage of the journey. Amazon Description: In Part One: Finding and Exploring your Spiritual Path, Ram Dass speaks from the heart with wisdom gained from a lifetime spent on the path to enlightenment about the often rocky yet profoundly transforming road to living the spiritual life. With personal anecdotes and commentary, he illuminates a wide variety of ancient and contemporary philosophies, drawing from such sources as the Buddha, Russian philosopher Gurdjieff, Mahatma Ghandi, and many others. Here is down-to-earth advice for those on the path to spiritual fulfillment, the pleasures and pitfalls you will encounter en route, the value and potential dangers of teachers and gurus, and the importance of following your intuitive heart. In Part Two: Journey of Awakening, Ram Dass focuses on the moments crucial to the serious seeker of the spiritual path. Meditation is an essential part of that practice. Why meditate? To live in the moment. To dwell in the harmony of things. To awaken. Those moments in your life when there is an openness, a spacious quality to your existence —those are the moments that truly make life remarkable. Amazon Description: Conscious Aging is an unforgettable learning session with Ram Dass, the former Harvard professor whose teachings about love, compassion, and sacrifice have received international acclaim. On this live recording, Ram Dass brings into focus one of the great issues of our day: the fear of aging and death. Exhaustively probing both Eastern and Western spiritual traditions, he offers wisdom tempered with reality. His point, when you lose your fear of death, you gain a love for life that holds profound meaning for the young and old. Here is a spiritual discussion about moving beyond our youth-fixated culture, to a place where we can see clearly that the final years of life can be just as creative and fulfilling as the early years. Conscious Aging is a masterwork that will speak to you personally about living each day with an open heart, knowing that the most incredible stage of your experience has yet to come. Description: Beginning with his controversial psychedelic research at Harvard in the sixties, the life of Ram Dass has served as an "experiment in truth," encompassing paths from both East and West, and shaping the spiritual landscape of America like no other teacher of our time. After three decades, and despite a life-threatening stroke, Ram Dass continues to move us with his example of compassion in action, and the true joy that comes with living in the present. Now, in a unique audio publishing event, the great moments and great truths of this important spiritual elder's long career are preserved together for the first time on the Ram Dass Audio Collection. Join the bestselling author of such spiritual classics as Be Here Now! and How Can I Help? for three life-changing audio sessions including: Cultivating the Heart of Compassion, Conscious Aging - Ram Dass calls for us to move beyond our youth-fixated culture, to see that the final years of life are the culmination of our spiritual journey. The Path of Service - In our era of individualism, Ram Dass teaches, the path to internal freedom still begins with external action, in the service of others.